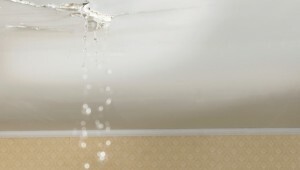 If you have a leaky or otherwise deficient roof, you should not take chances. You should get the kind of advice and expertise that you need to get it repaired. Ignoring a problem with your roof will not make it go away. Indeed, the problem is only likely to get worse. Your best option is to find a roofing repair firm that can provide you with good service. You don’t want to find yourself in a situation in which you have to pay exorbitant amounts of money for repairs that would have been much less expensive if the damage had been caught earlier. That why it is wise to call a roofing professional the moment you detect damage to your roof. Roofing damage can come from sources of all sorts. Even if you live in a city or region that does not experience particularly violent or turbulent weather, the effects over time of being out in the elements can break down the roof. There may have also been a defect in the roof when it was built—a defect that perhaps went undetected. Any number of things can lead to a roof going bad. And it is really up to each homeowner to find the means to repair or otherwise make right a bad roof. However, you don’t want to leave such a job in the hands of an amateur. Indeed, there may be great pressure for you to do so, because an amateur roofer can sometime do the job for a lot less money. But you want the thing done right the first time. You don’t want to have to waste your precious time doing it over and over again. The only way to guarantee such an outcome is to get a roofer who is well-trained and very experienced in doing the job. This will put you in a position of getting quality work. And it will be work that you can trust is done well. Roofing is usually the last thing that anyone buying a home actually thinks about. No one, however, can get on in a home without a functioning roof. That is why it is so important that you get an idea of the state of your roof as soon as you can. A professional roofer can usually repair a roof that is slightly damaged in no time. Having such work done doesn’t have to consume large amounts of time and cost a lot of money. If you work with the right roofing firm, you can get the work done in very little time, and with very little hassle. Those who want to live in a home that is safe, secure, and comfortable must know the material state of their roof. They must also have a plan for repairing it if something is found to be wrong. This can be easily done if well thought out and planned for. Your home is one of the most important investments you’ll ever make. You should take no chances about its material condition.